It seems like the worldwide music sensations BTS won't appear on any Japanese year-end music prorgammes as their invitations to perform have been withdrawn, Allkpop reports citing unnamed Japanese media outlets. 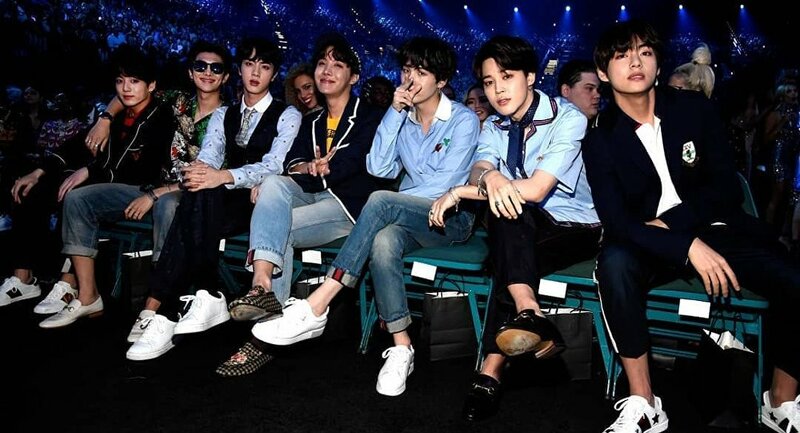 According to the report, following Asahi TV network's lead other Japanese stations such as NHK and Fuji TV cancelled appearances by the popular South Korean boy band on music shows after a photo of one of BTS's members — Jimin — was spotted wearing a t-shirt that appeared to celebrate the atomic bombing of Hiroshima. ​Thus, NHK's 'Kōhaku Uta Gassen', one of Japan's most popular year-end music programmes, and Fuji TV's 'FNS Music Festival' decided not to invite BTS. "All of the above decisions were allegedly reached due to the controversy surrounding Jimin's liberation shirt," Allkpop wrote. Hey guys, please read this. Jimin didn't insult atomic bomb victims. Meanwhile, the designer of the controversial t-shirt Lee Kwang Jae, the CEO of LJ Company, in an interview with with DongA on 9 November, when answering a question about the scandal said his intention was not to offend anyone. "That part was not included to mock Japan. It was simply added to show the truth and the process of how the liberation of Korea came about when Japan surrendered after the atomic bombs," Lee said as cited by Allkpop. "Street fashion was a trend when I started the brand. I have a great interest in history and designed the shirt thinking that young people can also become interested in history if I include history in fashion," he added.